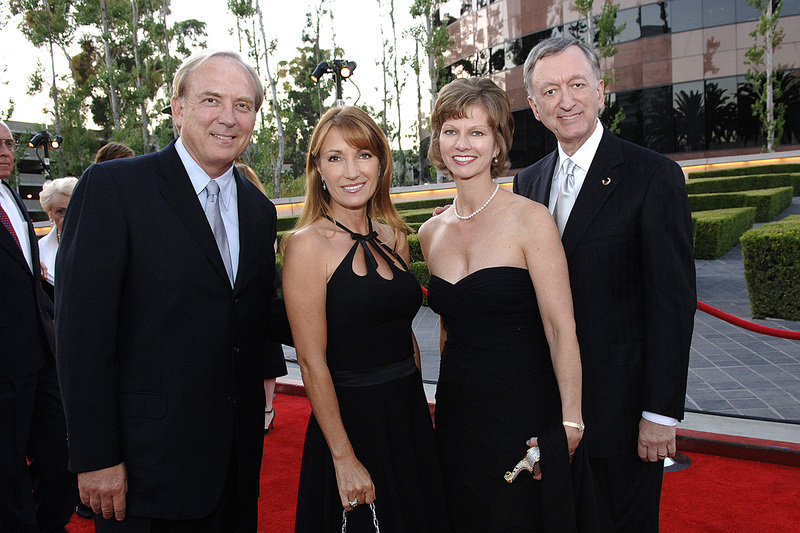 Shown here left to right are: Actor James Keach, Actress Jane Seymour, Event Co-chair Sandy Segerstrom Daniels, and Pacific Symphony Board Member John Daniels. 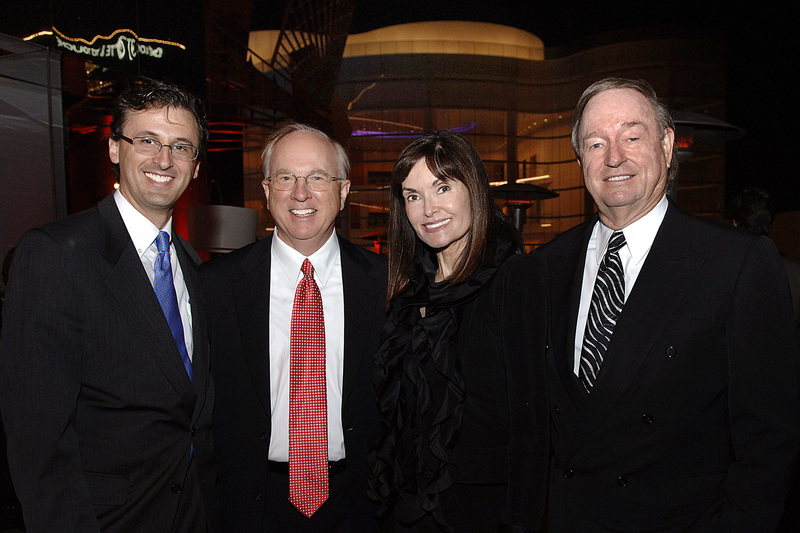 Shown here from left to right are: President of the Pacific Symphony John Forsyte, Pacific Symphony Board Member Doug McCrea, who is Managing Director of the Orange County office of Deutsche Bank Private Wealth Management, and Twyla and Chuck Martin. Deutsche Bank underwrote the Champagne Reception.